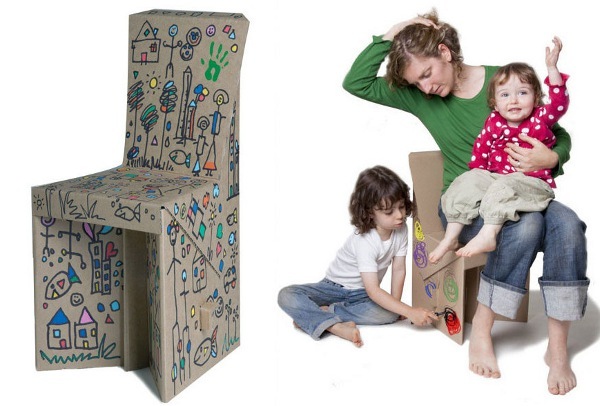 Cardboard children’s furniture is quite a thing – and incredibly ticks many design directives. It may not be everyone’s cup of tea, but if you love the idea of children’s furniture that comes flat packed, is easy to assemble and is completely recyclable, then check out these great cardboard finds. 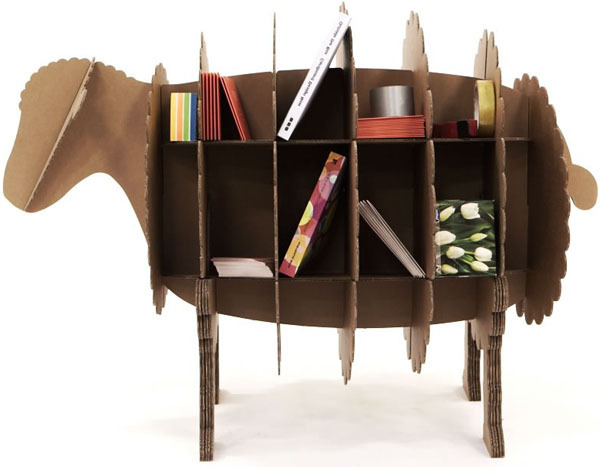 With plenty of eco-cred, Spain-based CartonLab has released an entire children’s cardboard furniture range, including bookshelves, tables and chairs, a rocking horse, cradle and that fun elephant bedside table. The aptly-named The Cardboard Guys have created this very cool children’s desk, which the kids can truly make their own. 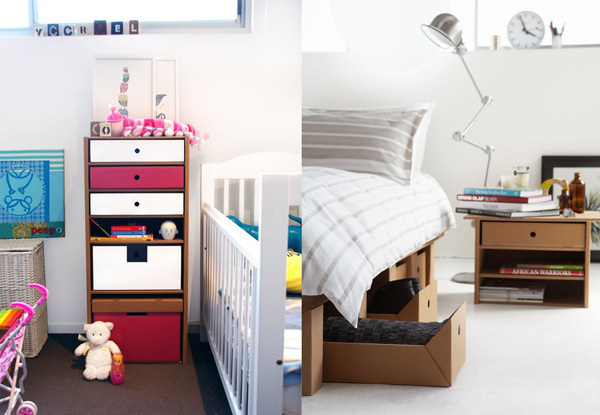 These clever cardboard creations straddle the line between toys and storage furniture. 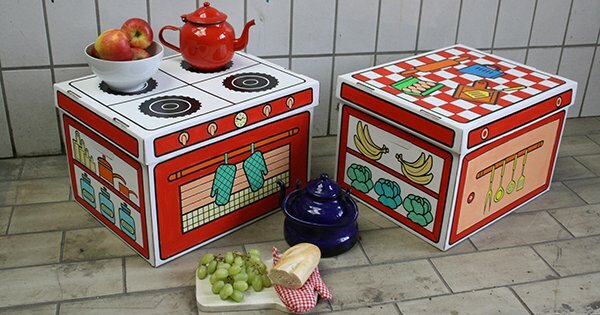 Villa Carton’s very reasonably priced kitchen storage boxes double as pretend cooking devices, and a place to store toys. We adore the cardboard furniture that’s been released by Green Lullaby, and what we love even more is that a selection is now available locally. The ZeppoChair is as child-friendly as furniture comes. A cute little seat that won’t shy away from a creative toddler with a crayon. Karton has shown that pretty much any piece of child’s furniture can be replicated in cardboard. And it will look amazing. 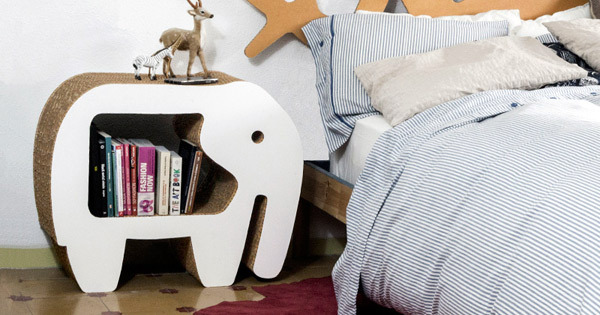 From a bed with storage to a sheepish bookshelf – like I said, amazing. 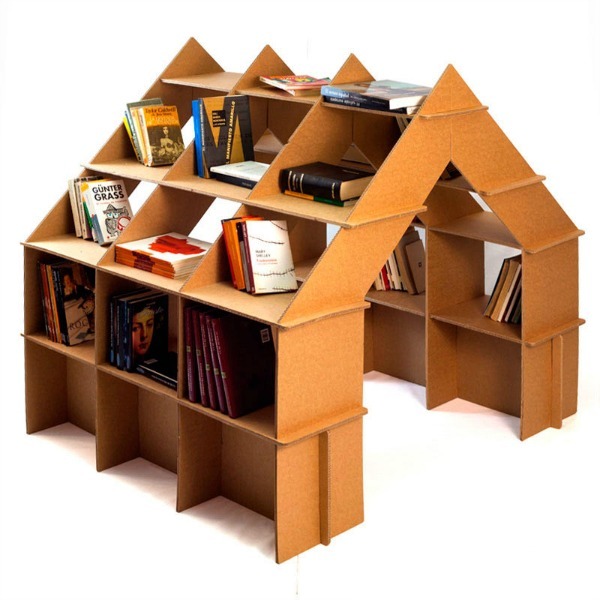 If you’re incredibly clever, and have some boxes handy, you can have a go at making your own children’s cardboard furniture. 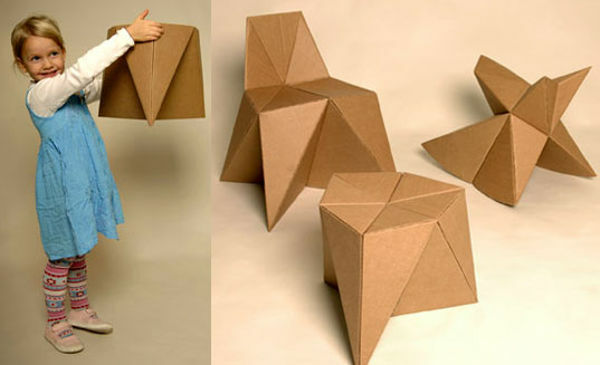 Foldschool has a bunch of free, DIY patterns that you can use to make your own, very cool cardboard stuff. Finally, Carton Furniture developed this great, compact cardboard table and chairs set some years ago. Such a beautiful concept, and no glue required!